Oh found footage! How you have been a hit or miss disaster for me. One of the first movies I remember was Cannibal Holocaust. It was not terrible but I would not bother watching it again. 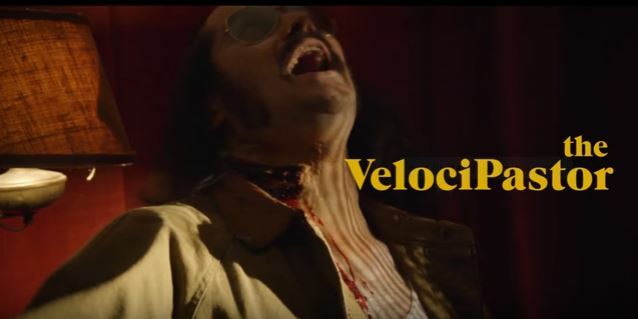 If it was not for being banned in Italy this film would have been a little more than a blip in what would end up materializing into its own sub genre within horror. As we swam out of the great horror filled 80’s and into the 90’s there was one movie that caused the flood of found footage films. 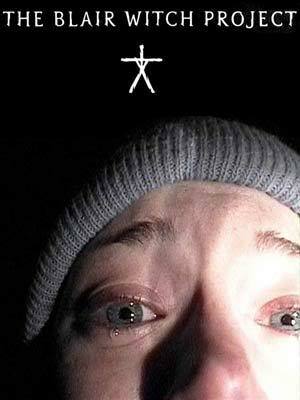 This film, as we all know, was The Blair Witch Project. Up until this point found footage films were not marketed nearly as well as B.W.P was. I can still smell the fear and excitement as we packed into an already full theater. My friends and I had planned to see this film for weeks and nothing was going to stop us. So all 9 of us jammed into a station wagon and began our 3 hr round trip to greatness. I still remember all the rumors flying around of this being real and people passing out in fear. The one that had us most worried involved motion sickness and my friend Jesse who had already been sick from the ride to the theater. When we chose our seats I managed to sit as far away from him as possible seeing I had to deal with the motion sickness for 90 minutes (Jesse ended up leaving mid movie because the shaky cam was too much). The feeling of helplessness and fear that washed over us as we watched this hoax unfold still sits with me today. What we saw that night changed our view of horror movies and shaped a genre that would explode in the 2000’s. Fast forward into the new millennium and try to tell me you did not start to cringe every time a new found footage film was announced. I had watched a load of them, some which stunk like, Diary of The Dead, The Zombie Diaries or The Last Exorcism to name a few. We had some decent ones in there also i.e. REC/Quarantine, Cloverfield and The Troll Hunter. For this “horror geek” it all came to a head when I saw Paranormal Activity 2. The first was marketed well in the same manner Blair Witch was in 1999. So yeah I bit, shoot me for it. Now that second little stinker left me feeling like a violated virgin on prom night. Everything was so drawn out and felt flat. You don’t need actors in the Hollywood sense here. Follow the Blair Witch and go for improvisational actors; add in a little treasure hunting for clues and their improvisational acting for that day’s shoot and you had some believable stuff. If I had to watch one more security cam of a kitchen island or front door, Blockbuster would have been billing me for the damn disc. When the second one ended so did my caring for anymore found footage crap. I felt betrayed like someone was trying to steal the wicked feeling I had buried deep inside me thanks to The Blair Witch years ago. I will be damned if these eyes will be coming upon any more of these found footage stinkers. With a swig of cheap Vodka and a tear I moved on. Oh wait a minute, it’s Halloween time?!?! That must mean we have a horror franchise polishing another sequel/prequel turd to shove down our throats every commercial break (thanks a lot Saw 1-105 you most recently caused this!). Well what do we have here? Paranormal Activity thinks it is going to run into my life and run out again without as much as a memorable scare? You better think again you “Current Halloween Must See Son of a B*tch!” So the commercials are on all the time promising me a scare, promising me they can make the wrongs feel right and most importantly promising me it will not steal that feeling Blair Witch left me with in that packed theater circa 1999. One thing rings out that catches my interest and that is the direction team of Henry Joost and Ariel Schulman. If you are not familiar, this team directed a great documentary called Catfish (seek it out if you have not already). So I decide to do a little more research. The 80’s setting for the story also peeked my interest. My wife was less than impressed to hear we would be seeing the third installment after I complained how bad the last one was. To be fair I must mention she also preferred the first movie over the second just as I did.So did this Halloween heavy hitter knock it out of the park? Did the movie take me back to the late 90’s where I first fell in love with the idea of found footage films? Was there any killer T.N.A in this installment unlike the last two? Learn all this and more by reading my review for Paranormal Activity 3.